Welcome and thank you for visiting the Spirit Lake Police Department webpage. The mission of the Spirit Lake Police Department is to achieve a safe, crime free community. 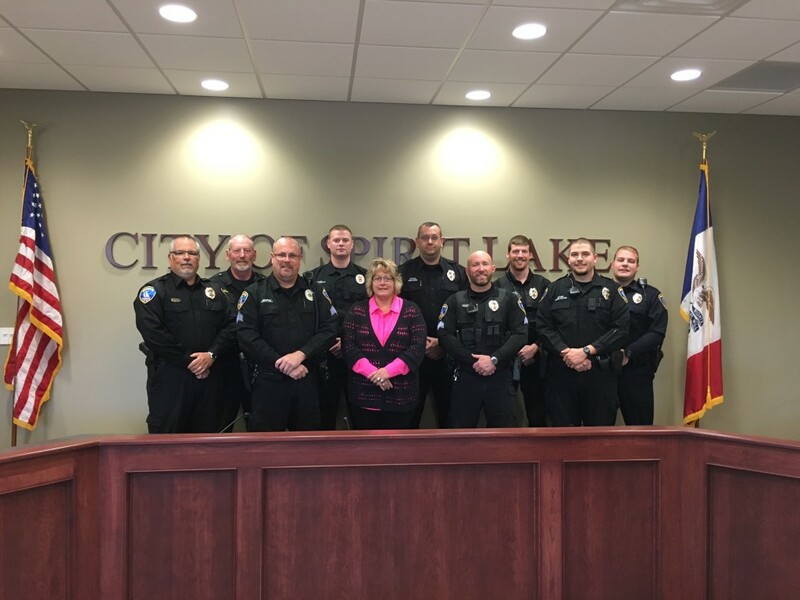 As members of the Spirit Lake Police Department, we commit ourselves to protecting, defending, and serving the residents of, and visitors to, the Spirit Lake Community. We recognize that our mission cannot be accomplished without the input and support from those we serve. Therefore, through a partnership with residents and businesses, we will maintain an open and honest dialogue directed towards identifying and eliminating public safety problems. We recognize the diversities that exist within the community and ourselves, and we endeavor to enforce the law fairly and equally. As proud members of the law enforcement profession, we will constantly strive to conduct ourselves in a manner worthy of respect. Please take a few moments to learn about the Spirit Lake Police Department. You will find that we are proud to be law enforcement officers and dedicated to the people of Spirit Lake, Iowa.